Go beyond the basic safety gear. This is survival gear. Safety on board is undoubtedly the most important aspect of boating. When something goes wrong, having the proper gear can keep you alive. Increase your chances of survival by going beyond basic safety gear. Most boaters carry just the basics: navigational lights, air horn, PFDs, fire extinguisher, flare, and a bottle of water. 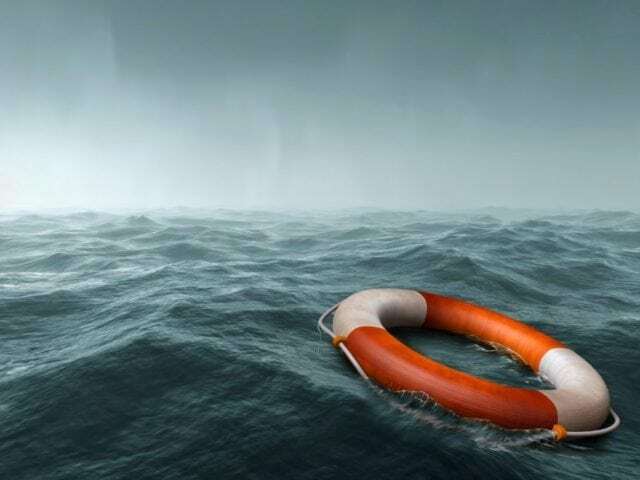 But before you head offshore this summer, consider carrying an Emergency Position Indicating Radio Beacon (EPIRB), a personal locator beacon (PLB), emergency life raft, a night-vision camera, and high-powered spotlight. An Emergency Position Indicating Radio Beacon (EPIRB) is essential when planning your safety gear. The most recent European Union launch of Galileo navigation satellites added second-generation search-and-rescue (SAR) transponders to the International COSPASSARSAT Medium-Earth Orbit Search and Rescue (MEOSAR) constellation. The primary mission of the MEOSAR system is navigation. Its large footprint on the globe allows the use of Doppler measurements to calculate a distress beacon’s location, while the Low-Earth Orbit (LEOSAR) and Geostationary Orbit (GEOSAR) are primarily for gathering meteorological data. Both the LEOSAR and GEOSAR satellites, however, provide assistance when a distress beacon is activated. The MEOSAR array provides faster signal detection, greater reliability, and accuracy and will soon be the dominant system for COSPAS-SARSAT service. This is the system that communicates with an EPIRB and PLB distress signal that transmits on the 406 MHz frequency. A GPS-enabled EPIRB can identify your location to as close as 164 feet. 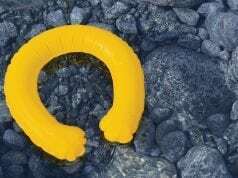 A PLB works the same way but only transmits about 24 hours (the EPIRB has a minimum 48-hour transmission) and is registered to a person whereas an EPIRB is registered to the watercraft. There are a number of EPIRBs and PLBs on the market, such as ACR’s GlobalFIX V4 EPIRB which has an internal 66-channel GPS. It has a 406 MHz transmission to connect with the COSPAS-SARSAT system and also uses the 121.5 MHz signal for more accurate detection when rescuers are close by. 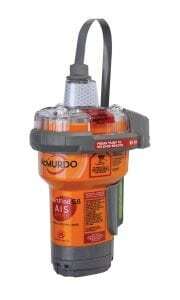 McMurdo’s Smartfind G8 AIS (shown) is the first to combine 406 MHz transmissions with an AIS (Automatic Information System) locator. 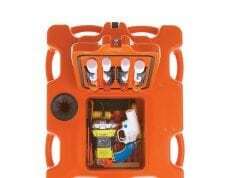 Ocean Signal’s rescueME EPIRB and Simrad’s EP70 are also highly rated. Fishing in the Gulf at night won’t be fun if an oil rig gets in the way. Coming into the harbor isn’t any easier. With obstacles like tidal currents and other boats that can get in your path, docking can be a challenge. 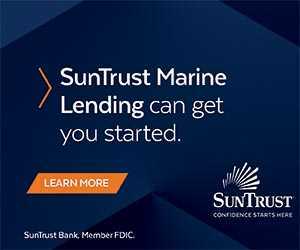 What if there was a man overboard scenario? Hope he’s wearing a PLB along with a strobe light. Having a low-light and/or thermal camera that links with your electronic display is a godsend in those situations. Infrared or thermal imaging captures temperature differences between the background and the foreground. It detects thermal radiation that is emitted by anything with a temperature above zero. Thermal imaging cameras don’t need light to see. A night vision camera requires some ambient light (from the shore or even the moon and stars). The latest technology has cameras capable of returning an image with just 0.1 lux (a full moon with a clear sky is 0.05 to 0.3 lux) and some with a sensitivity of 0.0008 lux. Resolution size is a critical number with thermal imaging and night vision cameras, but the camera’s sensitivity mode is important as well. The higher the number, the more you can see. 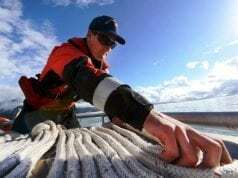 High sensitivity modes make the camera more sensitive to pick up changes in temperature, which is important when trying to locate a crewmember in a man-overboard situation. As with most safety gear, there are a number of companies producing thermal and night vision cameras, such as FLIR, Raymarine, and The Yacht Group. One of the handiest safety accessories is the spotlight. Not much needs to be said as most people understand the advantages of having a flashlight when it’s dark. 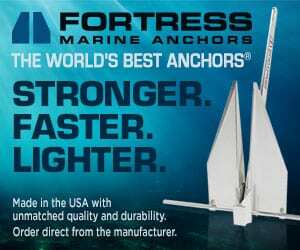 ACR, FLIR, and West Marine are just a few of the manufacturers who offer spotlight solutions. Fully automated systems with cameras, such as The Yacht Group’s Yacht Cam Bright that combines the night vision camera with a searchlight are extremely helpful. 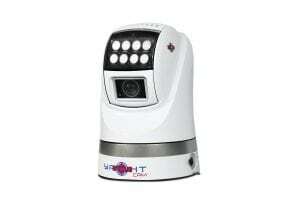 The Yacht Group’s Yacht Cam Bright is a combination night vision camera and searchlight. Its extreme lowlight sensitivity of 0.0013 lux (color) and 0.0008 lux (monochromatic) distinguishes images with 2.13-megapixel resolution and 30x optical zoom. The wide spot beam, effective to 1,000 feet by 70 feet, can further illuminate an object seen in the camera’s all-in-one unit with joystick control. In addition to these important safety products, keep in mind the location in which you’ll be cruising. Conditions on the water can change rapidly, so logically consider all possible scenarios prior to heading to the marina. Think about how far you’ll be from shore, the water temperature will be, and weather conditions. Make sure to have ample supplies of food and water in the event you’re out longer than anticipated. Even a ditch kit if you have to abandon ship. When it comes to boating, safety is always the first priority.